A lovely card banner with string for hanging. 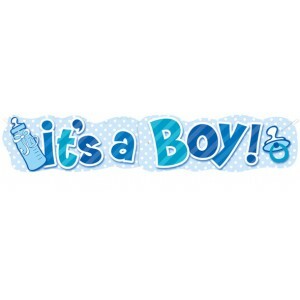 This is a bottle and dummy design with It's A Boy in large letters so this banner really stands out. Shades of blue with a white spotty background.